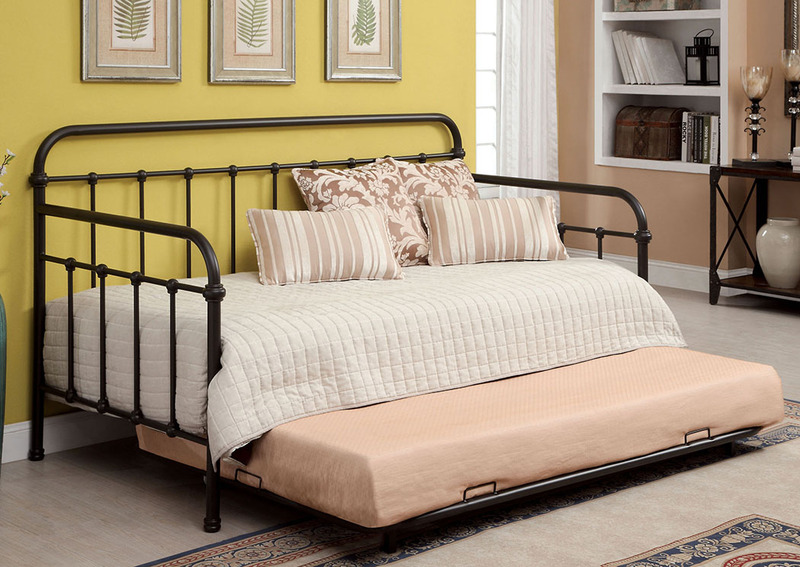 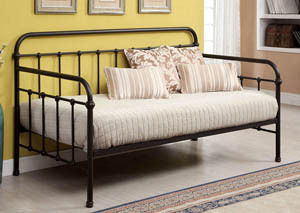 Place this delightful daybed in any guest room. 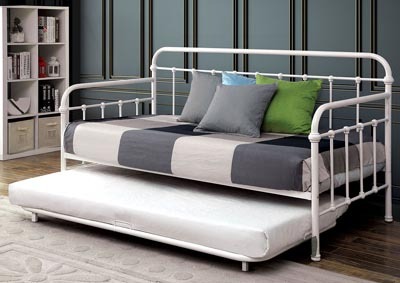 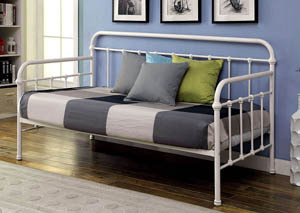 The simple metal design features spindled posts that act as safety rails for the entire daybed. 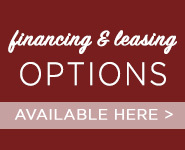 Powder coating available in two finishes: dark bronze or vintage white.